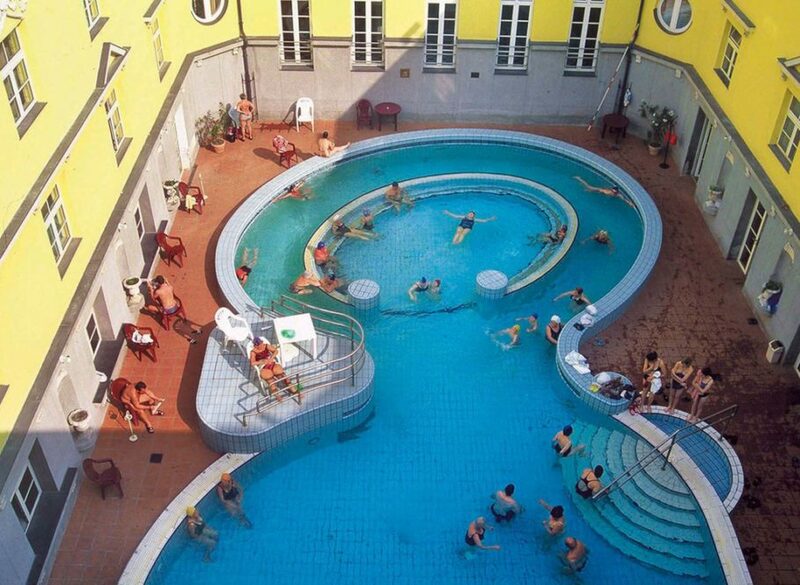 The thermal water is supplied by deep underground natural hot springs in Lukacs Baths Budapest. In several pools the hot spring waters are cooled down for a gentler temperature. The chemical composition of the hot spring spa water contains various ions, minerals. While for most people the thermal water provides beneficial health effects strengthening their immune system, if you have any health condition, please consult with your doctor before visiting Lukacs Baths.